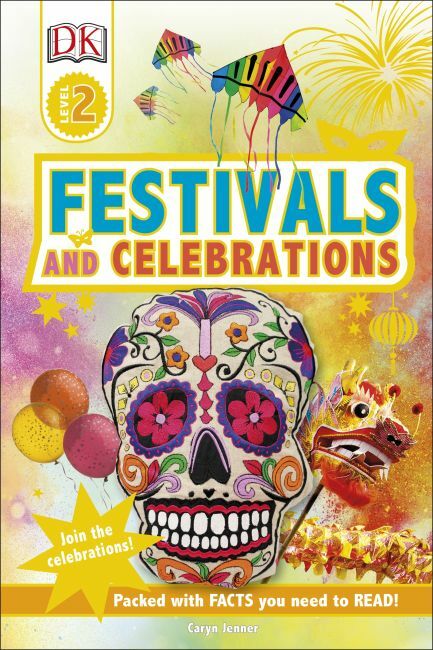 Celebrate different holidays around the world, from Chinese New Year to Diwali, and from the Mexican Day of the Dead to American Thanksgiving. Beginning with New Year's Day, Festivals and Celebrations lets young children join in celebrations around the world throughout the year. Each chapter is divided by season and covers everything from Passover and Easter, to Japanese Cherry Blossom Festivals and International Children's Day, to Holi and Hanukkah. Series Overview: Trusted by parents, teachers, and librarians, and loved by kids, DK's leveled reading series is now revised and updated. With new jackets and brand-new nonfiction narrative content on the topics kids love, each book is written and reviewed by literacy experts and contains a glossary and index, making them the perfect choice for helping develop strong reading habits for kids ages 3-11.